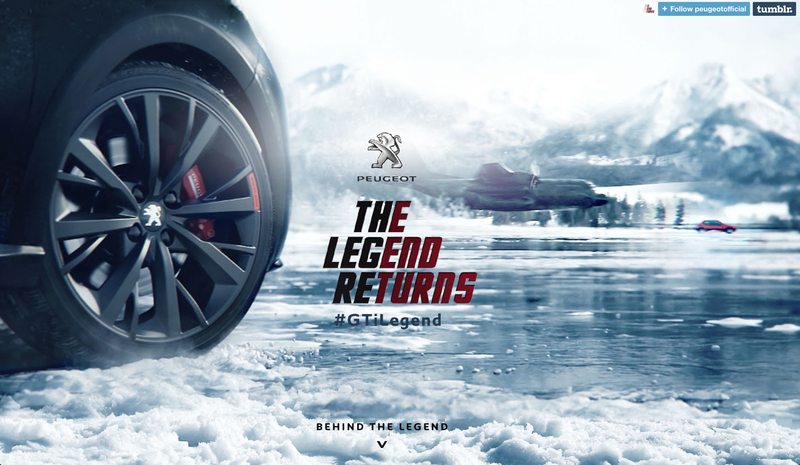 Peugeot is celebrating the release of its new 208 GTi with “The Legend Returns”, a contemporary spin on one of their most emblematic ads. Three decades after the release of the Peugeot 205 GTi, and 27 years since its promotional film “GTi and the Bombardier”, the new film aims to portray 30 years of progress in film-making technology in only 90 seconds while giving the viewer a dramatic demonstration of the boldness of the 208 GTi 30th. The film begins with an excerpt of the 1987 commercial with a red 205 GTi being pursued by a C-130 Hercules bomber aircraft. 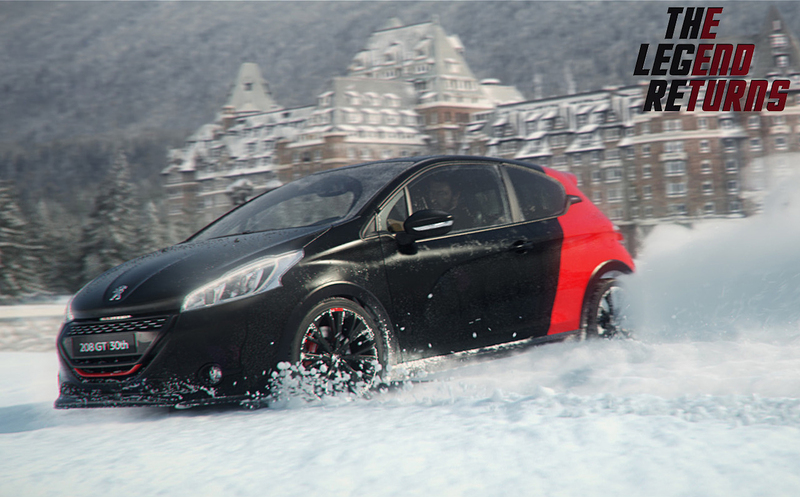 The screen widens with the arrival of a black and red Peugeot 208 GTi taking over the James Bond styled chase, dealing with a huge missile-firing helicopter as it navigates a frozen lake and ski jump. The driver, as in the original, pulls up at a mountain resort to make his rendezvous, slightly late. The Peugeot Legend Returns digital campaign, on peugeotofficial.tumblr.com (bit.ly/GTi30), promotes the film as the release of a Hollywood blockbuster, including access to extras (making of, bonus scenes, movie posters, photos, vines, etc. 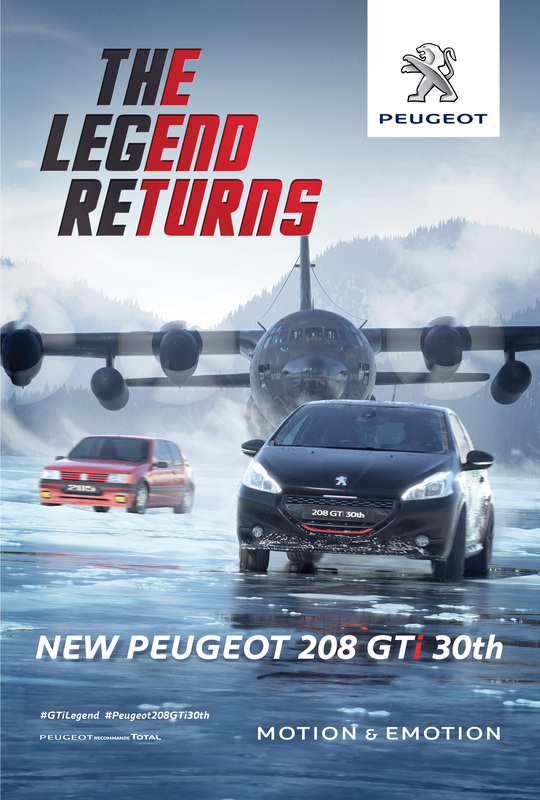 ), and discussions on social media via the hashtags #GTiLegend and #Peugeot208GTi30th. See the 30 second teaser. Apart from the first 20 seconds, all vehicle, aircraft, scenery shots and wolf were produced in computer generated imagery. 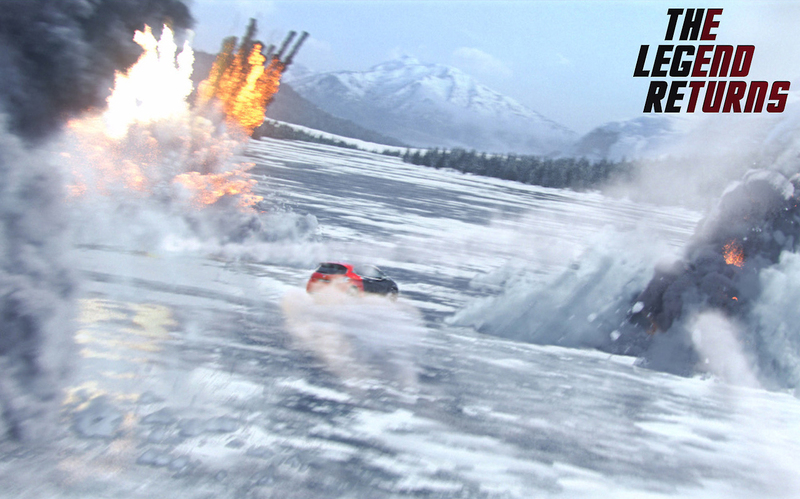 The vehicle interiors and the actors were filmed on green-screen and then added in post production to the 3D scenes. See the original 1987 Peugeot commercial, Le Bombardier. The Legend Returns campaign was developed at BETC Paris by chief creative officer Rémi Babinet, creative director Vincent Behaeghel, art director Juliette Courty, traffic manager Céline Laporte, strategic planners Maria Galleriu and Jean Allary, agency management Henri Tripard, Julien Grimaldi, Thomas Boutte and Fabien Idoux, working with Peugeot marketing team Guillaume Couzy, Stéphane Levi, Nathalie Le Maitre and Joanna Boutté. Film concept was developed at Havas Worldwide Germany, Düsseldorf, by creatives Marcus Herrmann, Oliver Hilbring and Stefan Muhl, with TV producer Thibault Blacque-Belair. Filming and photography was shot by directors Andy’s via WIZZ with director of photography Stéphane Nigentz Gumuschian and producer Matthieu Poirier. CGI was produced at Unit Image. Music was produced at Gum. Sound was designed by Olivier Ranquet. Social media was handled by at BETC Digital by Mathieu Ott, art directors Margaux Helfter, Juliette Courty and Benjamin Leloutre, copywriter Julien Duez and developer Zhiwu Wu, agency managers Anne-Laure Weulersse and Eliott Sigot. The original 1987 film, 205 GTi Le Bombardier, was shot by director Gérard Pirès via Hamster.